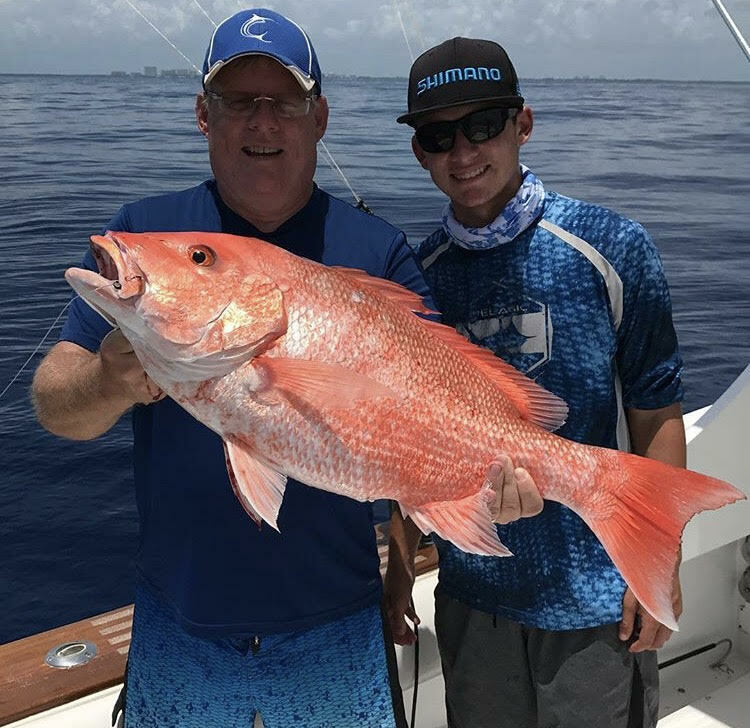 This bright red snapper is much bigger than most of it's relatives other than large mutton snapper and cubera snapper. Red Snapper prowl the offshore reefs and wrecks off Miami, the Florida Keys, and the Gulf of Mexico where they are most prominent. To target red snapper. fishermen drop live baits, jigs, and dead baits to the bottom over deep reefs and wrecks. Red snapper are delicious but they are heavily regulated by the federal government. We typically look for red snapper on wrecks in the 200-300 foot range. The red snapper are typically by-catch when targeting mutton snapper, cobia, amberjack, etc. efforts are generally focused on wrecks and artificial reefs off of Miami. While snapper fishing toward Key Largo, we sometimes catch red snapper while vertical jigging or targeting mutton snapper. We like going from spot to spot power drifting and, working ledges and wreck structures. Red snapper range from size from 10-20lbs and are beautiful fish.